Will Having My Car Towed Cause Damage? At some point or another, we’ve all experience or been party to a car breaking down for some unknown reason that we can’t diagnose or fix. In most cases, you end up having to call in a towing service to get you to the next step in your journey. However, many people are skeptical about having their cars towed, believing that it will be damaged worse in the process. Unfortunately, this skepticism is truly baseless and has hindered people from using towing services when they really needed to. As a result, they likely caused further damage to their cars. The good news is that there exist towing companies in Raleigh with very competent operators and new technology. Consequently, the chances of your damage to your car are very minimal if there at all. Beyond bad operator error, you really should expect no damage what so ever. Unlimited Recovery is one of the most competent companies that offers towing services in Raleigh and all around. Towing companies always advise that a vehicle should not be towed with the parking brake on. Most vehicles will not be able to be towed with the parking brake on. 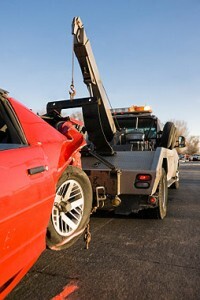 Doing so will generally cause severe damage to the car if it can be towed at all. Make the job easy, go ahead and make sure it’s off before anything gets started. There are different ways to tow a car, all of which guarantee your car’s safety. The first way is to winch the vehicle onto a flatbed tow truck. 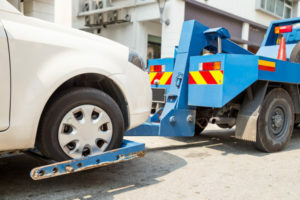 Towing companies limit the chances of car damage by shifting the car into neutral brake and releasing the park brake as the car is being winched. Having your car on a flatbed is probably the safest way to transport it anywhere, you have that extra security of being totally off of the ground. The second towing option is to have two non-driving wheels on the ground. This way, the park brake can be set to off which guarantees that your car will not be damaged regardless of the distance you have to be towed. The third option is to tow with two driving wheels. This means two-wheel-drive on the ground. In such cases, towing will depend on the transmission. Manual transmissions and two-pump automatic transmissions can be left in neutral. Your car will not give way to damages even for extended towing distances. The situation is quite different for automatic transmissions with one pump. In such a case, the towing should not be done for long distances and should be done at moderately low speeds. Unlimited Recovery has got you covered whether your car has manual or automatic transmissions. Most of us wouldn’t even think of these things, but they are things that very much need to be thought about by someone before your car gets hooked up. The fourth option is relevant for four-wheel-drives or all-wheel-drives which are towed with any driving wheels on the ground. This process can get complicated and predominantly depends on both the transfer case and transmission design. For some designs, the car is limited to towing for only short distances and at slow speeds. Towing companies will often take the safest approach which is to temporarily remove the rear drive shaft and tow with the rear wheels on the ground. However, companies always look at the owner’s manual to check for the towing procedure recommended by the manufacturer. Towing does not damage your car unless something goes wrong at some point. Trust that the towing companies around the Raleigh area such as Unlimited Recovery are sufficiently qualified when it comes to towing. Let go of your skepticism and trust the process. And if any damages do occur, your insurance or the towing company should take care of it promptly. When you need a tow truck call Unlimited Recovery at 919-790-9393.